As we age our hairlines naturally rise (slightly) from what is called a “juvenile to mature hairline”. However, after a certain point an increasingly high hairline becomes a sign of a bigger problem – pattern hair loss – also known as androgenetic alopecia. If you notice your hairline moving upwards, and backwards this could be sign that your hair could keep retreating back on your head, eventually leading to baldness. For some people the hairline moves from juvenile to mature and stops there. For others, it continues. It’s hard to know which one you’ll be as it is dependent on many factors, genetics being primary among them. In this article I’ll try to help you find out if your hairline is going to continue to move upwards/backwards and I’ll also share my best tips for stopping and even reversing the trend. Whether wigs and hair fibers are a viable option for covering a high forehead. What Is a ‘High’ Hairline? The hairline is a naturally-occurring line of hair follicles which outline the edges of your hair. In most individuals, the line will shift a few times throughout your lives, but when the line appears to be higher than average, this is known as a ‘high’ hairline. This may also be referred to as a high or broad forehead, and it can make your forehead appear larger and more prominent than it is. It can occur for numerous reasons, which I’ll outline further below. What Causes a High Hairline? 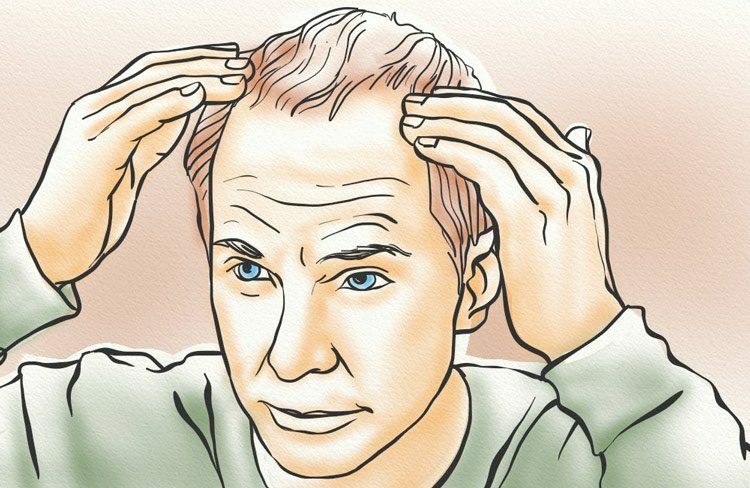 The most common cause of a high hairline is patterned hair loss. This can be caused by many things, though Androgenetic Alopecia (AGA) and traction alopecia are the most likely of culprits. 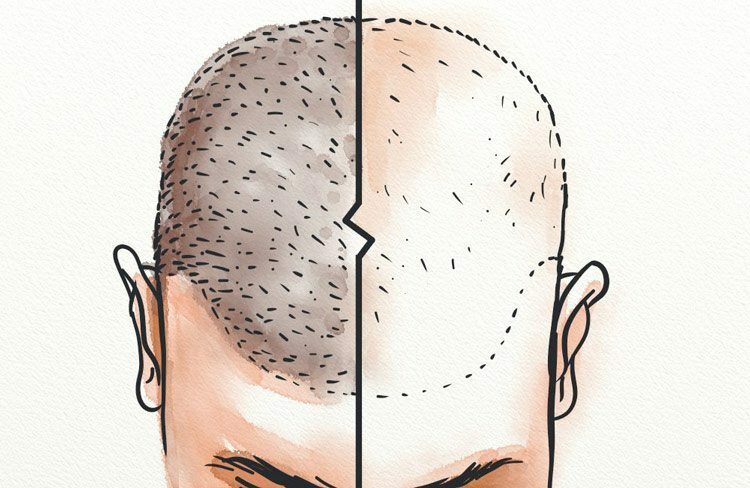 But why does hair loss target the forehead in particular? The answer depends on the type of hair loss you suffer from. In men with AGA, the hair follicles are sensitive to a hormone called DHT. This hormone naturally attaches to the follicles, but in someone with AGA, this causes inflammation and irritation. Eventually, the hair follicles will respond by miniaturizing. This pushes the remaining hair out, and makes it hard for new hairs to reach the surface. And why the forehead in particular? At the beginning of AGA, this is the region most sensitive to DHT. As the hairline recedes, so too will the follicles affected by the hormone. If not treated, this can lead to total baldness. Of course, DHT isn’t the only cause of AGA. Other factors, such as genetics, environment, and lifestyle also play a major role in its development and advancement. Genetics don’t only contribute to susceptibility to hair loss, but also the placement of your hairline. That’s right – everyone has a different placement, and those with higher placements also tend to have the appearance of a more prominent and mature forehead. Unfortunately, this is something that can’t be avoided. If you’ve always had a higher hairline, or if the older men in your family experienced one as they aged, it’s likely your fate. Perhaps the only cause that you can fully prevent, cosmetic surgery is another reason for an unnaturally high hairline. This is most common in men and women who have received a brow lift (either coronal or endoscopic). However, even botox injections can cause your hairline to appear higher than before. Should I Worry About Recession? Whether your hairline is naturally high, or you’ve started to notice a backwards shift, you may wonder when to worry about recession. This is an important question to ask, as the answer can help you to prevent future hair loss. But first, let me discuss the three different kinds of hairlines. As a child, and even through adolescence, you have what is called a juvenile hairline. It tends to sit much lower on the forehead, and the edges (particularly near the temples) are rounded. However, as you age you’ll experience what is known as hairline maturation. That is, your hair will naturally move back and the line will become higher and less rounded. This new look will suit your adult face, and it’s a normal part of aging. But when does maturation go too far? Your hairline will have a natural place in which it stops maturing, but this is determined by genetics and other factors. So, how can you tell the difference between maturation and recession? These are just the beginning stages of hair loss, but noticing them at the first signs can help you to be proactive in your approach. While you should start treatment at the first stages of the signs listed above, there are other signs that recession and hair loss is imminent. If any of these signs are familiar to you, it’s really time to jump into action. As mentioned above, genetics can play a major role in hair loss. As such, a family history of MPB is a surefire sign that you need to begin treating the problem right away. But how can you know for sure that MPB is the cause for balding in your family? One way to know is to consider the pattern of hair loss. If the loss began at the forehead, and slowly receded until nothing (or almost nothing) was left, then MPB is the likely culprit. 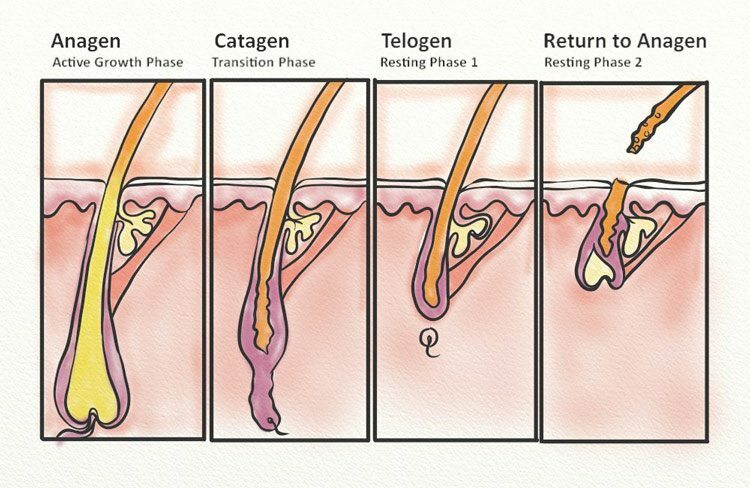 Your hair follicles are constantly changing, as they’re either growing your hair (anagen phase), or transitioning to the less active phases of the hair growth cycle (catagen and telogen). As part of this cycle, it’s normal to shed anywhere from 50 – 150 hairs per day. What’s not normal is a sudden increase in hair fall, especially around the temples and forehead. Such an increase may not be noticeable at first, though examining your pillows and shower drain can tell you a lot. 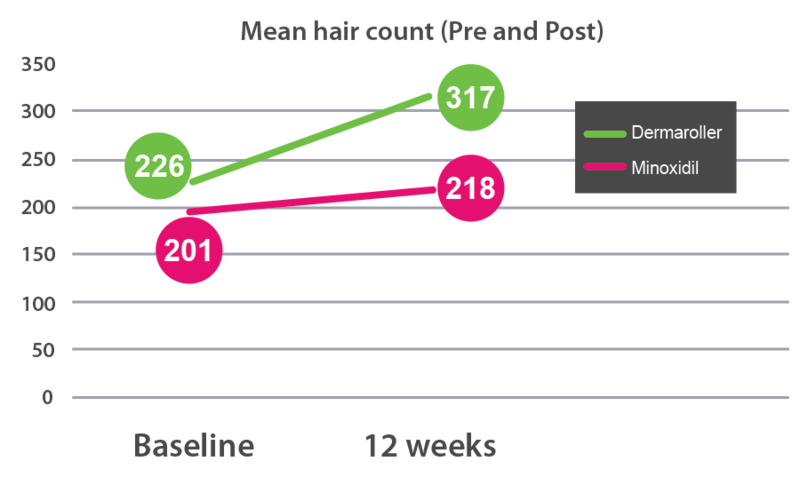 If you notice an increase in hair loss over time, especially in those aforementioned places, then the problem needs to be addressed immediately. Itching and irritation can be a symptom of many common conditions, including dandruff and Seborrheic Dermatitis (SD). 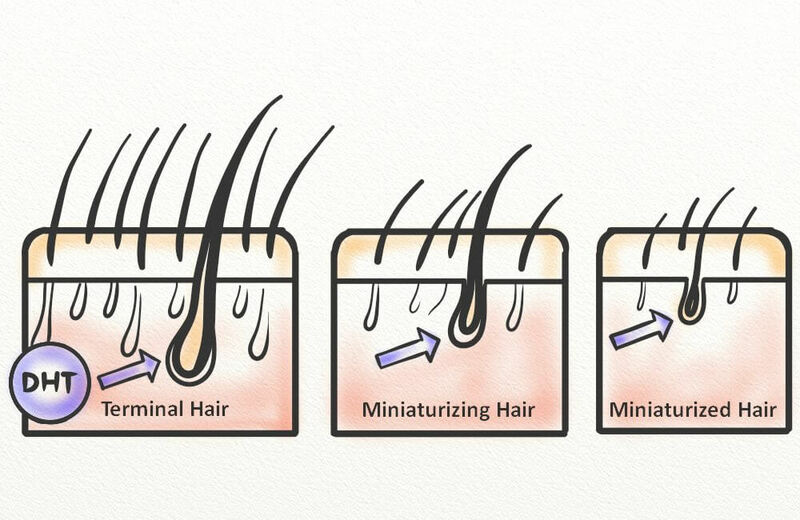 But they can also be a symptom of follicle miniaturization as a result of DHT sensitivity. As such, any increase in discomfort should be closely monitored. Is It Possible to Grow Hair to Cover a High Hairline? Perhaps you haven’t experienced hair loss, but you instead have a larger forehead. In that case, you may wonder whether there’s anything you can do to grow more hair to cover it? In simplest terms, no. And here’s why. The hairline is a naturally occurring line that consists of hair follicles. It has its own position from the time you’re born, though it can move back either naturally (as part of maturation), or unnaturally (as part of recession). However, without surgical intervention, there’s no way to move that hairline down. While you can’t grow hair where there never was any, there are two surgical procedures that may be able to help. These are 1) hair transplant, and 2) forehead reduction. Just as the name implies, a hair transplant surgery will transplant hair from one area of your head (the back) to another (the hairline). This is the most common surgical procedure used to ‘treat’ balding. But can this effectively be used to ‘move’ your hairline done? When hair loss surgeons perform this surgery, they do so with the goal of replacing hair that was lost from the hairline. If you’re looking to have your natural line moved down – without any previous history of recession – you’ll be disappointed. You may be able to obtain a thicker hairline, which can help to disguise a broad forehead. But it’s still not ideal. Also known as hairline lowering or scalp reduction, a forehead reduction procedure does just that – it lowers the line so as to reduce the size of the forehead. To perform the procedure, an area of forehead skin is first removed. The size will depend on your skin’s elasticity, as well as the vertical height of your forehead. The remaining skin from behind the hairline will then be ‘advanced’, or pulled forward to cover the excised area. So, is this the answer to your hairline woes? As a surgical procedure, this shouldn’t be rushed into. Instead, you should consider any other options (especially if your high forehead is a result of hair loss), and only then consult with a surgeon. What About Minoxidil and Finasteride? Are surgical interventions not your cup of tea? Then perhaps you’re considering the more common route of minoxidil or finasteride. First, let’s take a closer look at each drug. Minoxidil, more popularly known as Rogaine, is a topical hair loss treatment that you can purchase over-the-counter. It’s used by millions of men and women worldwide, and its results are usually quite impressive. Actually, scientists don’t really know. They do believe that the product increases circulation to the scalp, which helps to deliver oxygen and nutrients while removing waste (such as DHT). It may also have a role in the opening of the potassium channels (which is important for potassium’s delivery), but this is still debated. So, can it grow hair on your forehead? Yes, if your forehead is exposed as a result of hair loss. No, if you just tend to have a naturally high hairline and are looking to create a new (i.e. lower) one. But even if you are looking to restore lost hair, there are plenty of other options with similar (if not better) results. For example, pumpkin seed oil has been shown to reduce inflammation and contains antioxidants. These are both beneficial to fighting hair loss and regrowing lost hair. And sesame oil isn’t too bad, either. It was shown to outperform minoxidil (in a mouse model), plus it’s easier to use and more affordable to purchase. Next up is finasteride, a once-daily pill that’s available through prescription only. This drugs mechanism is much more clear, as it inhibits 5AR which is an enzyme largely responsible for the production of DHT. Sure! In fact, many research studies support the efficacy of finasteride when used by men to treat AGA. As a 5AR inhibitor (and DHT blocker as a result), the drug has numerous side effects. These include loss of libido, inability to get or maintain an erection, loss of ejaculatory volume, and depression. So, if none of the above options sound good to you, what can you do? Now that I’ve covered the more conventional treatment options, let’s look at natural alternatives you can use to lower your hairline. When it comes to hair loss, high-acidity foods are the main culprit. This is because they can throw the body’s naturally-alkaline pH out of whack, and even contribute to the production of DHT. But did you know that acidity isn’t the only culprit? In fact, many of the above foods can even cause delayed allergic responses. This is most common with dairy and grains, and it can lead to bodywide inflammation. If acidic foods are the problem, it makes sense that alkaline foods are the answer. There are so many delicious alkaline foods available, and one of the easiest ways to consume them is in smoothies and juices. You can manually increase circulation to the scalp with the help of two techniques: massage and scalp exercises! These can be incorporated into your day, and they not only increase circulation but also reduce inflammation and irritation. 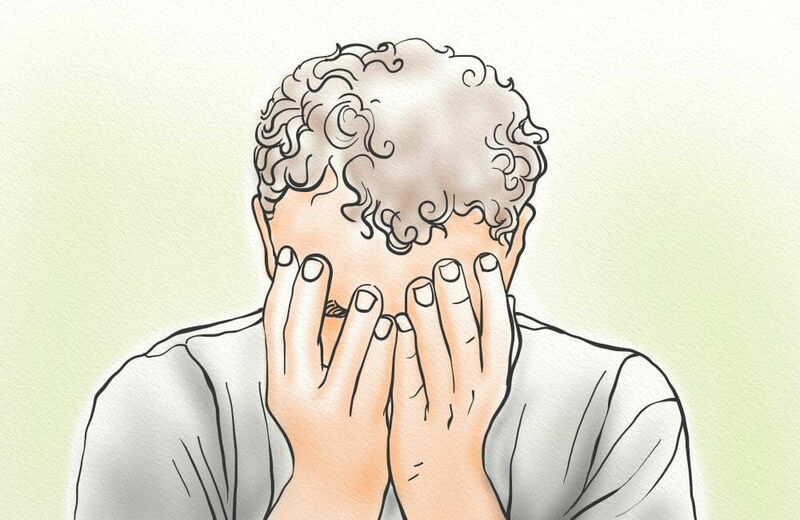 Using your fingertips, place your thumb, middle, and index fingers on the sides of your head. Apply firm pressure. Begin to work your fingers in a circular motion, and slowly massage the area just above the ear. You can slowly work your way up (towards the crown), but you can also backtrack at any point. Once you’ve made it to the crown, continue massaging in the same manner for 1 – 2 minutes. Now, begin to move towards the front of the head (the center of the forehead). You can slowly move out to the temples, and then backtrack to the forehead. Repeat these motions for 1 – 2 minutes, and return to the sides of the scalp. Finally, make your way to the back of the head. Continue massaging for 1 – 2 minutes. You can perform these massages for 10 minutes per day, and repeat if you feel it’s necessary. To get the most from your efforts, it also helps to use your facial muscles. What do I mean by this? Lift your eyebrows as high as possible, and hold for 1 – 2 minutes. Return to normal position. Furrow your eyebrows as deep as possible, and hold for 1 – 2 minutes. Return to normal position. Lift your eyebrows as high as possible, and hold for 1 – 2 minutes. Then, furrow your eyebrows as deep as possible, and hold for 1 – 2 minutes. Return to normal position. You can also use your fingertips to stretch out the skin on your scalp (and especially towards your hairline). Simply place your thumb and index fingers about two inches apart. Then gently move the fingers away from each other as you pull the skin with them. You can also move the fingers closer together, and loosen the skin as you go. If you want to get serious about increasing circulation to the scalp, you’ll want to consider microneedling. Microneedling is a technique that uses small needles to puncture the scalp. The microwounds then heal, which triggers the production of more collagen (important for skin elasticity) and new follicle cells. The healing process also draws more blood to the scalp, which increases the amount of oxygen and nutrients delivered. There are two popular tools used for scalp microneedling: the dermaroller, and the dermastamp. The first is a cylindrical tool with needles covering the entirety of its surface. You hold the handle and roll it over the affected area of the scalp, while gently pressing down. The second utilizes a flat surface. The needles protrude from the surface, and you can then apply directly to the affected areas and press down. I recommend the dermastamp, as it’s easier to target. There’s also less risk of removing surrounding hairs, or causing damage to nearby follicles. Are you interested in learning more about the process? Check out this full-length post on the technique here. Whether you’re in the middle of hair loss treatment, or you’re just trying to cover your large forehead, here are some hairstyles to give you inspiration. The messy cut is similar to the textured crop, but you only need medium-length locks to achieve it. This cut covers your hairline with ease, and it can be worn sleek and clean, or messy and textured. Do you have longer hair on the top of your scalp? Then this is the hairstyle for you! The textured crop is a purposely messy look, which uses your long hair to its advantage. It essentially brings the hair forward to cover the high hairline, and does so by texturizing the hair so it extends farther. 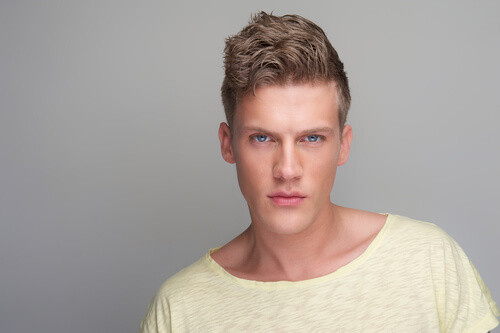 One of the classier hairstyles, the pompadour is easy to customize to fit your hair length and cover up needs. 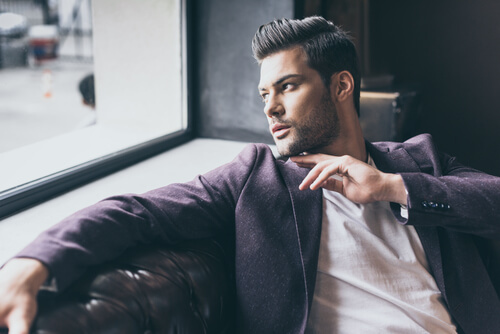 The hair can then be styled in different ways – straight back, to the side, or as a middle part – while drawing attention away from your hairline. This is similar to the pompadour, but it uses a more texturized style to achieve the same look. It’s basically an incomplete pompadour. Instead of being smoothed down, the hair stands straight up, with just enough texture and character to set you apart from the crowd. What About Wigs and Cover Ups? For as long as hair loss has been a problem, there have been ways for men to cover it up. And perhaps one of the easiest (and quickest) ways to do so is with a wig. But are they a viable long-term solution? And can they offer you the natural look you’re going for? There’s no doubt been advancements in wigs and other such cover ups (such as toupees) over the years. But they can still look unnatural, and that’s not to mention how uncomfortable they can become throughout the day. There are alternative options, such as hair building fibers and powders. These add bulk to thinner areas of the hair, and they may help to cover a bit more of your forehead. Sure, but only under one condition: you must be looking for a longer-term solution, such as treating the cause of your hair loss. Short-term use of wigs, cover ups, and even hair building fibers are fine. They can give you the confidence you desire, while also making you appear younger. But they aren’t a cure. If you’re really serious about covering your forehead, whether due to hair loss or genetics, you’ll want to consider the longer-term solutions out there. The prominent exposure of your forehead – whether due to a naturally high hairline or unnatural means such as hair loss – can be a mentally damaging experience, especially as it relates to your self esteem and self confidence. However, there are many ways to deal with a high forehead. Some of these are through surgery or medication, but there are also natural options that can help you to physically lower the hairline, or cover it. Do you have questions about growing a more pronounced hairline on your forehead? Leave a comment below!